Dentally speaking, associate professor Sajeev Koshy can claim to have seen it all. There aren’t many medical professionals with his breadth of experience, which extends from the Indian public health system, to Hong Kong—where he worked with Vietnamese refugees—and on to Mexico, Guatemala, Kenya and New Zealand, before finally landing in regional Victoria. 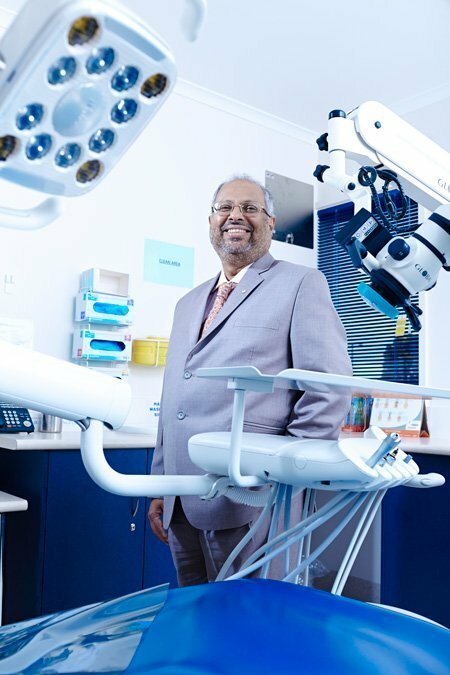 Along the way, the head of endodontics at Melbourne’s Royal Dental Hospital has honed his specialty, becoming one of the first dentists to earn an MBA, picking up a number of awards for his work and establishing himself as a leader in quality health care provision in his home state of Victoria. In addition to his work at the Royal Dental Hospital, he currently leads the dental teams at Plenty Valley Community Health and Boort District Health as director of Dental Services. In 2016, he was awarded an OAM for services to dentistry in Victoria. 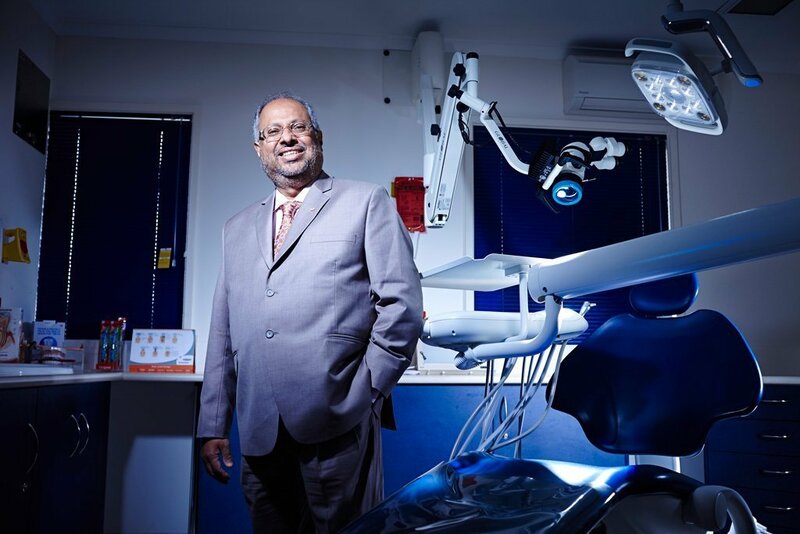 But Dr Koshy is not driven by wanderlust or by a quest to win plaudits, but by a healthy attitude towards self-improvement and continuing education, and by an unwavering belief in the importance of universality of access to quality dental care. Dr Koshy believes there is a wealth of ideas to be shared between the different dental systems he has encountered, including some lessons for dentistry from the example of his home state. He says one of the first things he noticed when he and his wife moved the family to Dunedin in New Zealand to further their professional training, along with the cold weather, was a surprising difference in wait times for certain procedures. How is this possible? According to Dr Koshy, what Kerala lacks in physical infrastructure, at least in the public setting, it makes up for in workforce capacity and skill, and a needs-based approach to care. “Facilities are lacking—Kerala can’t afford the capital works we enjoy in the West because of funding and population density,” says Dr Koshy. “It is one of the smallest states in India, with a population of 30 million. Wards are overcrowded in public hospitals. And yet, if you look at the incidence of mishaps within that population, it is very low. A range of business behaviours that are often alien to dental and other medical practitioners were unlocked to Dr Koshy when he chose to study business. He developed skills in organisational behaviour, finance, strategy and benchmarking. It allowed him to make further links between economics and dental medicine at an administrative level. This is where the endodontic specialty came into it. “There were very few endodontists in New Zealand at the time I did my specialty. I think there were something like 12 practitioners in the whole of the country,” Dr Koshy says. “The specialty fascinated me because it was clinically very challenging and it offered me a chance to perform to the best of my ability as a dentist. “Endodontics involves a lot of pain management so it’s a very fine area. You need the skills and the patience to really diagnose properly and then manage the case based on individual requirements, ” he says. Global travel has given Dr Koshy a unique perspective on population-wide dental challenges. He has worked with remote indigenous communities not only in Australia, but around the world, along with groups supported by the United Nations High Commissioner for Refugees (UNHCR), including Vietnamese refugees in Hong Kong. These insights were particularly useful when Dr Koshy arrived in Australia in 2004 and observed the disparity between urban and regional dental health. “I discovered that at Bairnsdale regional hospital there was a waiting list of 57 months. So I moved over to Bairnsdale with the objective of setting it right,” he says. During his time at Bairnsdale Regional Health Service, which covers a vast area from the border of NSW to Gippsland in Eastern Victoria, he won over the confidence of his colleagues and started to implement change management to address access to services. Dr Koshy holds out hope for universal dental health care in Australia, but he recognises there’s a long way to go. “We brought in the National Partnership and the Child Dental Benefits Scheme, but these programs are not sustainable in the long term,” he says. “We need a long-term vision that incorporates a cost-benefit preventative approach in our models of care. “My dream is that we should bring in universal dental care based on need. It can happen incrementally, starting with certain population groups, until you have a statistical reduction.